At 5pm on Thursday December 15, the deadline for submitting comments on the Reserve Bank's consultation about its dashboard approach to quarterly bank disclosure expires. The Reserve Bank proposes a dashboard that includes information on credit ratings, key financial performance and position information, capital, asset quality and liquidity information, and potentially a metric comparing information on large credit exposures. This is a laudable initiative. It reinforces the RBNZ’s three-pillar approach to prudential supervision, which emphasises the role of market discipline. The dashboard approach is innovative. Many regulators keep information of individual banks close to their chest. But it is not all doom and gloom on the global disclosure front. Some regulators are improving bank disclosure rules. Last week, the European Commission published new and significantly improved bank disclosure requirements. The Commission wants banks to disclose information electronically, with a minimum frequency of once a quarter. The information will be disclosed in a standard format, and in tabular form. Now let’s hope the Commission chooses a sensible data-format. Ideally it should avoid pdf, but instead follow the U.S., which discloses bank data in a plain (csv) format. A definitive plus of the RBNZ dashboard approach is that it offers a one-stop shop: Data from all banks will be made available in a central location. This makes it much more easy to compare banks to each other. I encourage you to submit comments, the Reserve Bank will take your comments seriously, though please be mindful of the people at the receiving end. I once had the pleasure of summarising a selection of submissions in the public consultation of Basel III implementation in Europe. With over 150 submissions, this was hard work. 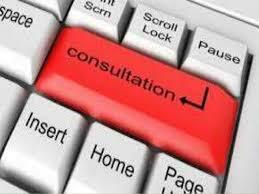 But it helped if respondents answered (only) the questions from the consultation document. Also see: RBNZ backs S&P over banks. *Dr Martien Lubberink is an Associate Professor in the School of Accounting and Commercial Law at Victoria University. He has worked the the central bank of the Netherlands where he contributed to the development of new regulatory capital standards and regulatory capital disclosure standards for banks worldwide and for banks in Europe (Basel III and CRD IV respectively). - market discipline is hard to effect because banks try not to be distinctive one from the other, and they clearly have all been lending large splodges of other peoples money to a wild residential sector. Where can you go if you assess all the banks are risky? I'd be interested to know where it states they are government guaranteed in the PDS? I realise the chance of default is low given the government can apply tax, but even so..
"If the Crown defaults on, or is otherwise unable to comply with, its payment obligations under the Bonds you may not recover the money you pay for the Bonds or receive the expected returns."